Give a meaningful gift this holiday season; make a child's interest a reality! By giving to Pono, you are ensuring children's stories of education are full of adventure, exploration, and wonderment. Help the Pono children go the extra mile on their long trips. Purchasing Amtrak tickets will allow them to explore cities outside of the New York metropolitan area. Pono children love exploring nature and the world of art. Storm King Art Center combines both of these interests in an incredible way. One hundred sculptures by acclaimed artists are set on 500 acres of hills, fields, and woodlands in the beautiful Hudson Valley. In order to visit Storm King, Pono needs to hire a bus service. Supporting this trip helps to cover transportation costs, as well as entrance fees to the sculpture park. Pono children had their turn performing this summer. Now they want to see others take the stage! Support their interest in the arts and provide them the experience of attending a concert. The Tenement Museum teaches the history of immigration in New York by telling the stories of families who lived at 97 Orchard Street. More than 7,000 working class immigrant families made this Lower East Side tenement their home. A visit to the Tenement Museum will allow the children to explore the rich history of immigration in NYC and make connections to current discussions about immigration. Our field trips are an important aspect of Pono’s education. One young Pono friend recently exclaimed, “I love field trips and going to new places!” Help support this enthusiasm for exploring New York City and the surrounding area. "Would you like to hear a story?" is a question our youngest Pono friends love to hear! Help us fill our library with titles that will spark the children's curiosity and engage their imaginations during story time. Pono children often reach for a book and can frequently be found reading to one another. Support our avid readers with a library full of titles they can read on their own and with their friends. The children practice teamwork, decision making, and balance in our soccer program. And of course, they experience the joy of running, jumping, kicking, throwing, and catching! Help us get tri-net goals that will allow the children to further develop and hone their soccer skills. Because motor development is vitally tied to a child’s ability to sequence both body and thought, and therefore to learning and greater quality of life, Pono has established a partnership with The Center for Kinesthetic Education. Through this partnership, Dr. Martha Eddy, Founder and Director, monitors and supports each child’s motor development through quarterly neurodevelopment screening and individualized recommendations for each child. Support our Movement Therapy Program by covering the cost of next term's screening. Help support Mentorship, a program where the older children study in depth a topic of interest and complete a related project. Pono’s mentorship program fosters in-depth, guided exploration of subjects chosen by Pono students ages six and older, allowing the children to work with experts who share their knowledge. This fall the students worked with educators from the New York Historical Society to learn about topics including New York’s first people, immigration, slavery, and the Civil War. Pow! Zap! Whiz! Pono’s first comic book, The Earthsavers, was written and illustrated by our students, ages 7 to 10. Join forces with us! Help fund our marketing strategies to bring The Earthsavers to a wider audience. Karate, judo, kendo, and kung fu. These four martial arts have been requested by the children. 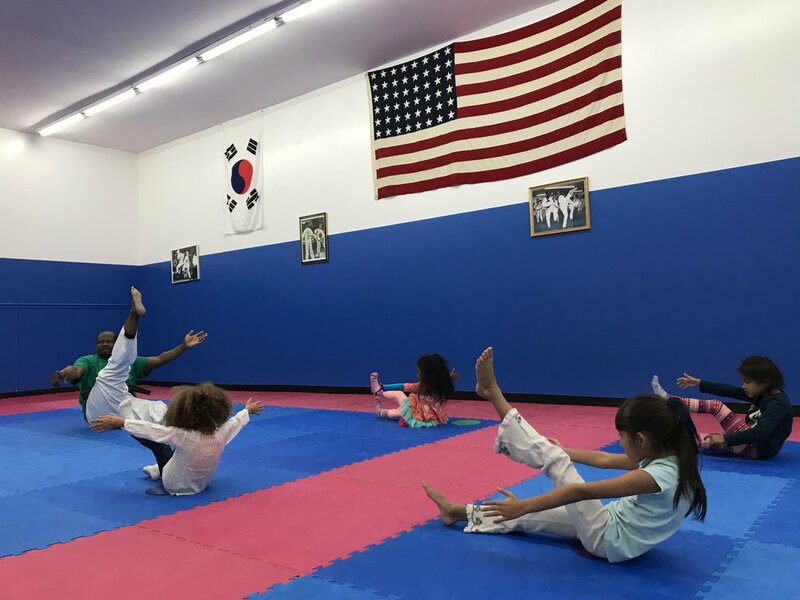 Help us continue martial arts training at Pono. Our littlest Pono friends, the Sprouts, love cleaning, planting, and watering Lydia’s Magic Garden. Help us purchase materials and tools for them to continue their work in this community garden, so that beautiful things can continue to sprout! Help form the Pono Chorus! Pono children will meet weekly with music educator Ali Dineen to sing and rehearse songs for the group to perform at our summer fundraiser in 2018. They will focus on folk songs from different cultural traditions and learn vocal teamwork. This summer, we will transform the Pono space into an art gallery featuring works by all of the children. Help us purchase the necessary materials and hire an art handler who will frame and install the children’s artwork. Help us bring the Fashion District to Pono! Pono children have asked to work with a designer, who will guide them in creating their own clothing. Your support will allow us to bring a professional to work with the children and to purchase materials. Help us bring The Movement Creative back to Pono. This group teaches children to explore their surrounding environment through the creative movement skills of parkour. They take play seriously! Laura Simms is an award-winning performer and a humanitarian who uses storytelling to advocate for change. She is a Senior Research Fellow for the International Institute for Peace at Rutgers University-Newark under the auspices of UNESCO. Help us bring Laura back to Pono to share her storytelling with the children. Pono children aren’t afraid to ask big questions! 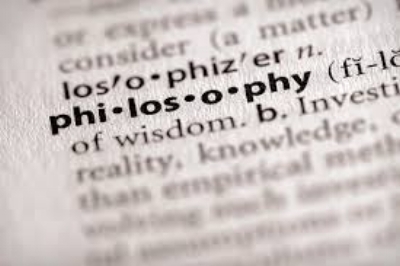 Help us bring a philosophy instructor to guide them in exploring questions about wisdom, knowledge, values, and reason. If you know a Pono child, you will be familiar with a strong curiosity about the world. The children have requested to study geography. Help bring a visiting teacher who will introduce the children to this topic and guide them to better understand their place on Earth and their connection to other people and places. Whenever Pono children visit MoMath (The National Museum of Mathematics), they delight in making patterns with these bright monkey magnets. The magnets can interlock to create a colorful mosaic. Whenever Pono children visit MoMath (The National Museum of Mathematics), they delight in making patterns with these charming dinosaur magnets. The magnets can interlock to create a colorful mosaic. All aboard! Our little Pono friends enjoy playing train conductor. Help us purchase a set of wooden subway cars for our train enthusiasts. This handmade folk toy is a set of wooden mushrooms with pictures of ladybugs, leaves, and flowers on the mushroom caps. Some of our youngest children will enjoy sorting these mushrooms by size, color or by the picture on a cap. Encourage children to use their imagination as they play with these simple, colorful dolls. We all know it takes a village! 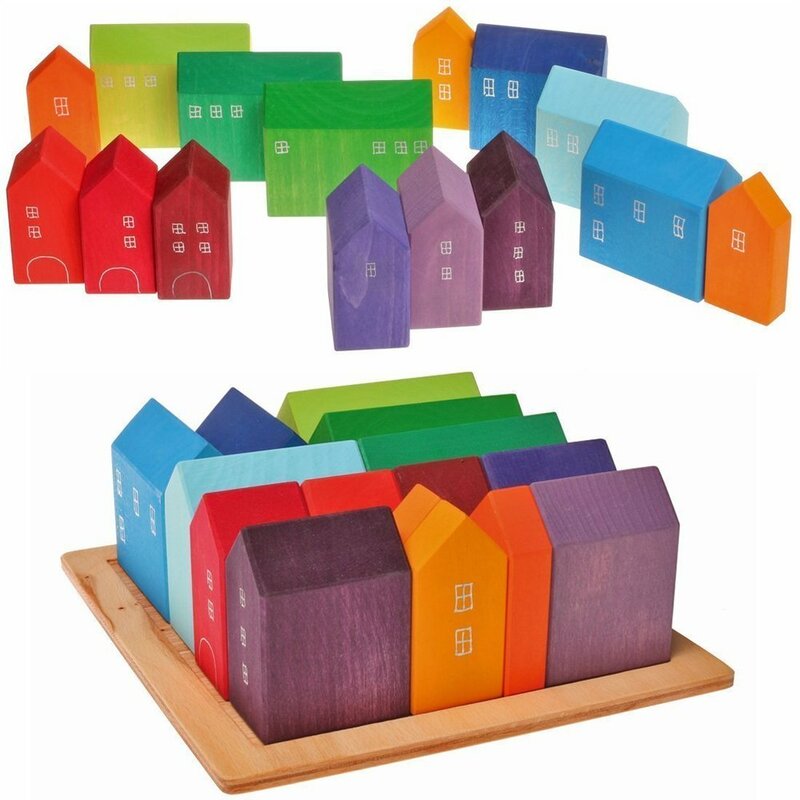 Help the Pono children create their own village with these colorful wooden cottages. Do you know any Pono friends who love wheels? Transport them on make-believe adventures with these colorful wooden trucks.